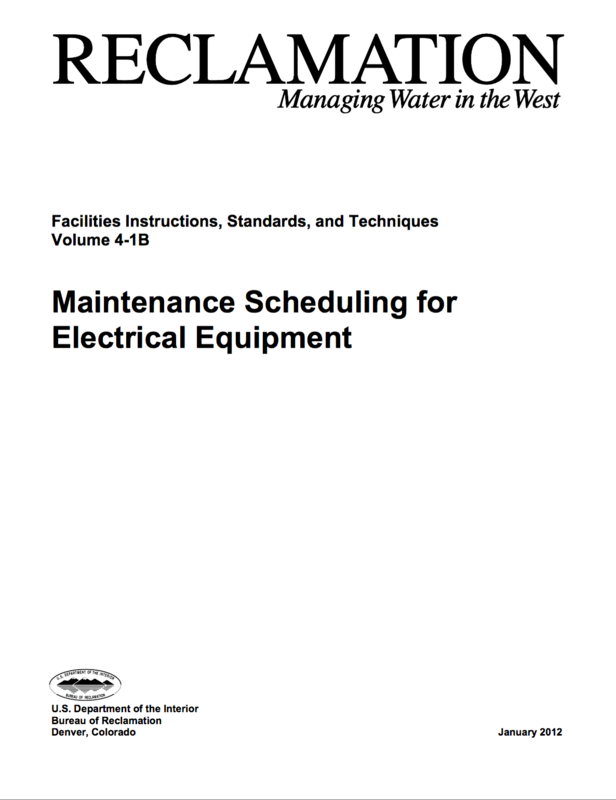 This document establishes minimum recommended practices for maintenance of electrical equipment in Bureau of Reclamation hydroelectric power and large pumping plants. Included in this document are recommended maintenance activities, maintenance intervals, and references. Equipment and situations vary greatly, and sound engineering and management judgment must be exercised when applying these recommendations. It should not be the sole source of information used in conducting maintenance activities. Other sources of information should be consulted (e.g., manufacturer’s recommendations, unusual operating conditions, personal experience with the equipment, etc.) for references associated with these maintenance schedules. NOTE! Performing maintenance on electrical equipment can be hazardous. Electrical and mechanical energy can cause injury and death if not managed properly. Periodic maintenance tests are needed during the life of the cable to determine whether or not there has been significant insulation deterioration due to operational or environmental conditions. The maintenance schedule for power cables only pertains to cables associated with critical equipment as defined in section 1.2 of this document. High potential tests (hipot) effectively reduce inservice failures from faults of the cable or its accessories. When done properly, maintenance tests can detect problems in cables that are approaching failure without accelerating the deterioration process. 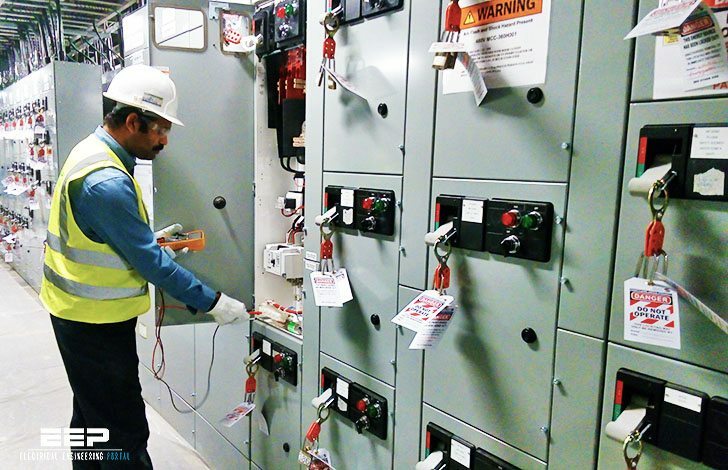 Except for infrared scanning, de-energize the cable circuit before maintenance.